Hello friends and welcome to this week's #TuesdayTune Linky Party! I love everything about New York...the people, the smells, the shopping, the buildings....Everything! There is something in the New York air that makes sleep useless. Simone De Beauvoir. At night… the streets become rhythmical perspectives of glowing dotted lines, reflections hung upon them in the streets as the wistaria hangs its violet racemes on its trellis. The buildings are shimmering verticality, a gossamer veil, a festive scene-prop hanging there against the black sky to dazzle, entertain, amaze. Frank Lloyd Wright. I remember the first time I fell in love with New York. It was 1988, my final year in High School and I had heard about a new movie starring Melanie Griffith, Sigourney Weaver, Joan Cusack and the gorgeous Harrison Ford. It was called "Working Girl" and the tagline was For anyone who's ever won. For anyone who's ever lost. And for everyone who's still in there trying. Well, I saw the film and I loved it! It is the story of a secretary, Tess McGill (played by Grifith), who is from Staten Island and she works in the mergers and acquisitions department of a Wall Street investment bank. She recently earned a bachelor's degree in Business by attending college at night and her goal is to move out of the secretarial pool and into an executive position. When her boss, Katharine Parker (played by Weaver), breaks her leg skiing, Tess uses her absence and connections, including Parker's boyfriend Jack Trainer (Ford), to put forward her idea for a merger deal, an idea which had originally been stolen by Parker. Tess eventually gains the upper-hand and wins her dream job and her dream man. The film was so fabulous for so many reasons but one of the things I particularly loved was the music, including the opening scene which follows Manhattan-bound commuters on the Staten Island Ferry. 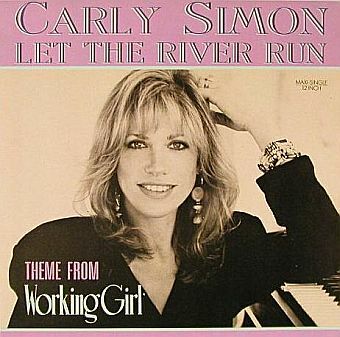 The sequence is accompanied by Carly Simon's song "Let the River Run", for which she received the Academy Award for Best Song. The song peaked at No. 49 on the Billboard Hot 100 and No. 11 on the Adult Contemporary chart. Simon and the song also won an Oscar for Best Song of the year, a Golden Globe for best original song (1989), and a Grammy for best song written for a motion picture or television (1990). I hope you enjoy listening to the song that made me fall in love with New York! This one's for you Stacey! Do you ever post songs on your blog? If you do please join in with me and other bloggers from all around the world and post about and link up your favourite songs each Tuesday. You can post a song from any post, old or new. Please help me spread the word about Tuesday Tune, a weekly celebration of music by linking back to this post and if you want to, you are most welcome to use the #TuesdayTune button. Thanks for linking up and joining with our weekly celebration of music! I can't wait to come and visit you this week to hear your favourite songs! Thanks also to Laurie for having me today at her Favorite Things Saturday party, to Charlotte and Ginger for having today for Spiritual Sundays , to Mary for having me today at Mosaic Monday and to Susan who hosts Outdoor Wednesday. Thank you also sweet friends for visiting today and for spending part of your day with me. I hope you have a wonderful week. Working Girl 1988, yes I remember that film, was it really 22 years ago! I love New York too! next year I am also turning 40 (as is my sister in law) and we are going for a trip to San Franscico, which I also love. Aaah! can't wait! That was so cool! Do you remember when we sang it for the end of year mass at school? One of the best songs of all time. Happy October Natasha! It's been a long time since I've heard this song but it has always been one of my favorites by Carly Simon! I love songs with a "big" feel to them! Thanks for sharing an old fave. Have a wonderful week! You know, I love this movie back then, thank you for posting. Oh that was definitely a blast from the past. I loved that movie! Thanks for sharing this Natasha! Oh such sweet memories! I too can remember the end of year mass when all you beautiful girls sang this very meaningful song. So good to be able to look back on some grand times and be thankful for the experience. Thanks for the memory! You make New York sound so delicious! It's only a 4-hour drive from where I live. I think it's been far too long since I've been! Great post, Natasha. I loved this movie, too. And, I have long been a fan of Carly Simon. P.s. turning 40 is fabulous! Happy Birthday! 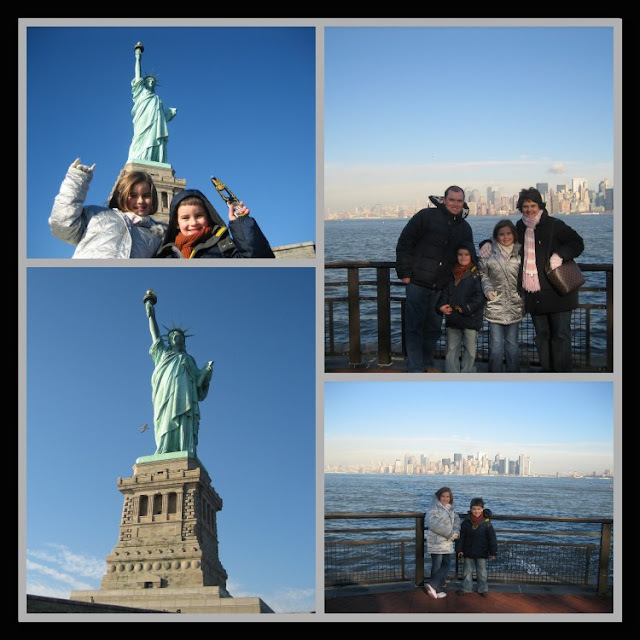 We were in NYC a few weeks ago with our 5 yr old grand daughter. It was so exciting to see her reaction to Time Square, the Empire State Building, a taxi ride, & the American Girl Store. Sept is a beautiful month...not too hot, not too cold. and the weekends arent as crowded. Have a wonderful yr ahead! I just said goodbye to my hubby who is NYC bound. It was one of those trips I could have gone on with him, but the timing was just not right. Of course, as I sit here and he is getting ready to jet off, I'm sorry that I didn't grab the opportunity. Hope you get there! Loved your post today. The mosaic's were great and enjoyed everything about it. 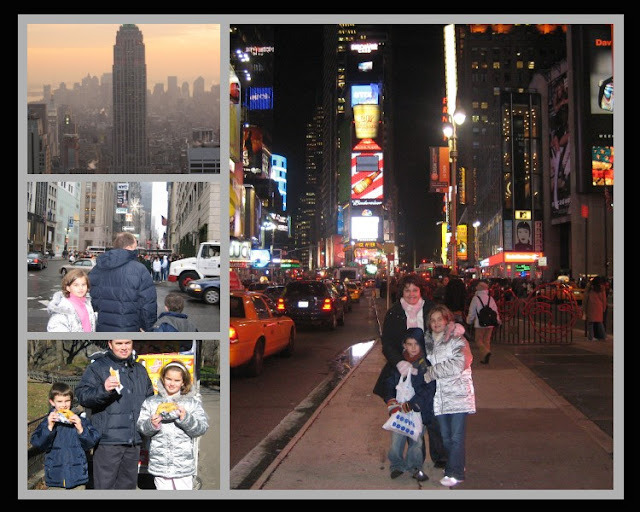 There's so much to see and do in New York...hope you get to celebrate your special birthday there! 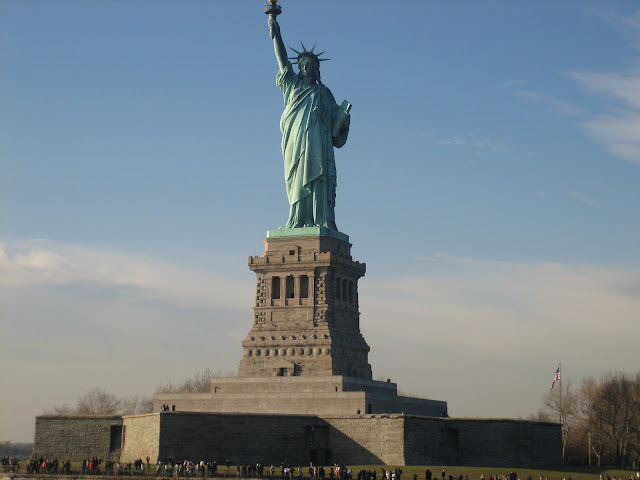 I visited New York in college and got to see Broadway plays, go inside the Statue of Liberty ... it was amazing. And I loved Working Girl! I remember, after the movie, I got an appt. book like Tess McGill's and thought it made me seem so grown up! ;0) I was all of 19 at the time. Hope you get your wish! And thanks so much for stopping by my blog this week! ;0) Glad we have a mutual friend in Simoney! Working Girl is a great movie....the accents, the big hair, it's everything that was awesome and 'in' at the time. 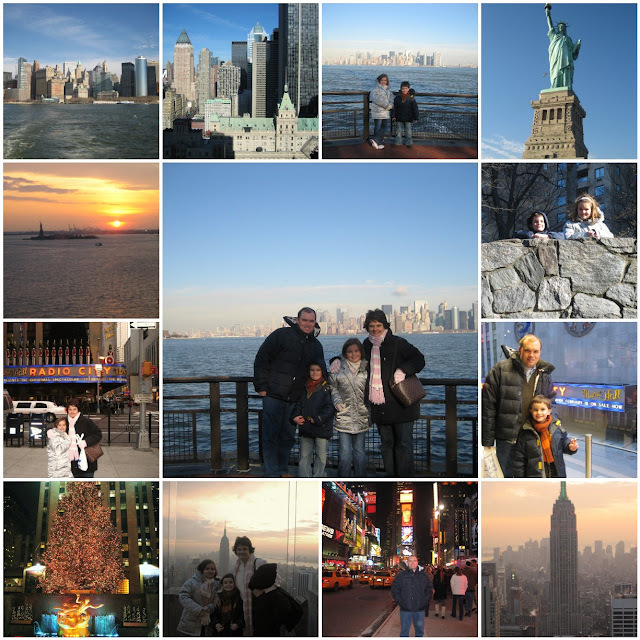 Wonderful photos of your New york trip. It is a fun and busy city with lots to enjoy! I love NYC!! And I turn 50 next year -an even bigger AAAAARRRRRGGGGGHHHHHH! I guess I could treat myself to a trip down. It's "only" a 5 hours drive from where I live. Lovely mosaic of New York ... wonderful place! Fantastic shots of the city! Enjoyed your post. That has to be one of my all-time favorite movies! Always loved going to the city! Wonderful pics Natasha. I love all the neat places you travel. Very nice. My header was indeed apple cider with a few extra spices. I will post in two weeks for Foodie Friday. Thanks for stopping by. Dear Natasha, first of all, happy birthday in advance. thirty-nine seems like such a long time ago for me. And there is nothing AAAARRRRGGGGHHHH about 40 at all! Secondly, thanks for these wonderful mosaics. Your photos are wonderful! Wonderful post Natasha! I love how you tied in the song with your New York photos, quotes and stories! It's been a really long time since I've seen Working Girl - I want to rent it after reading your post! Hope you had a great weekend. Joy-filled tribute to New York and now I must look up the movie that you mentioned as I've never seen it! I just found your comment on Susan's blog (BNOTP) and thought that I would pop on over and say hi. I can't wait to explore your blog, it looks great. As for this post on music, I do put songs on my blog frequently also. I have never been to New York. Thank-you for sharing the pictures, I hope you get to go for your birthday. Always enjoy listening to Carly Simon, and this one does bring back memories. 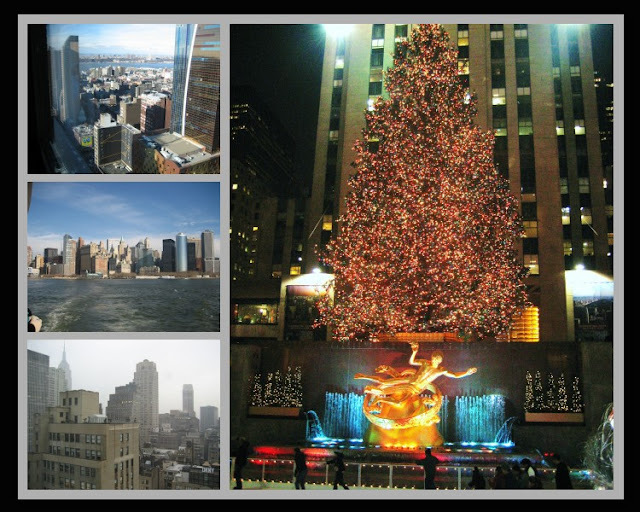 I bet you have spent more time in NY than I have, and will also be back there before me - send a post card! thank you for your loooovely comment and I wish you a happy happy birthday in advance!!! and a happy happy week! I've never been to NY. I am a lot closer to it than you are, and have gone to distant lands, but never New York. Love the pictures you posted, and hope you get to go there to celebrate your birthday. I liked that movie too and the song. I love NYC too! I can't believe that it is has been three years since we were last there. We went up for New Year's Eve in 2003, and then went to meet JK Rowling in 2007! Great Carly choice, this is one of my favorites! Love this post. I found you on outdoor Wednesday and didn't even know about the Sunday Song thing. I think I would like it. I LOVE that movie. It's one of my favorites and has one of my favorite lines: "Don't ever talk to me again as if you and I don't know the truth." Bam! I also love the song you posted. I have that on my CD of favorite songs. Loving your NY photos...never been there myself...but I would love to experience the NY way of life!!! I don't post music and I'm probably the only blogger around that keeps my computer on mute all the time!!! 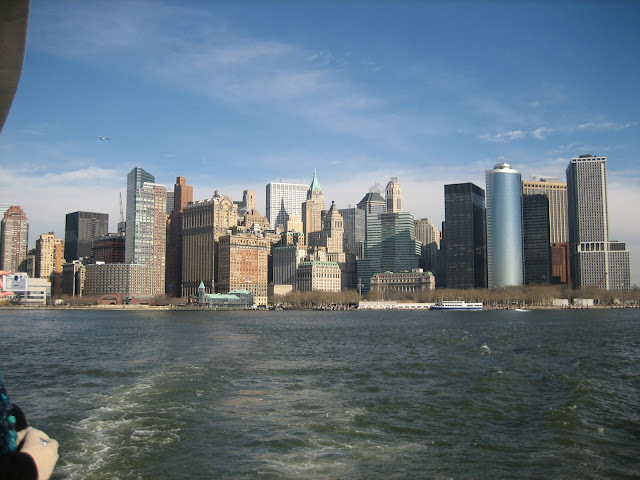 Your photos of NYC are fantastic! I was there at Christmastime in 1975...magical! I have a photo of the Twin Towers, too! Little did I know at the time what was in store for them! Love Carly Simon as well! Great blog Natasha! my 2 girls were about the age of yours when we went to NY. My husband booked a boat trip, which I wasn't impressed. I wanted to take them to the Statue of liberty.